Here's a how-to on getting used to publishing public domain books (and your own work) easily and simply. The other thing public domain books are good for is to streamline your own publishing efforts so you can get a book you've written up and online for purchase simply, quickly, easily. Online distributors, as a whole, don't appreciate public domain books. They aren't big profit-makers. And get-rich-quick knuckleheads will try to get their own version up and try to "make money" with the least effort. Frankly, books that are in this category make very little money these days - unless you add in additional value. But know that their glory days are long gone. However, that makes your marketing that much easier, as at least they've had glory days - and so are fairly well known already. For our use, the epub/ebook versions which are available for most classic fiction works can be gotten for free - but mostly these have been machine-converted, and so have errors or missing table-of-content, etc. Free is what you pay for. The advantage in editing these is that you can simply transform them into additional versions once you get the text sorted out and ready. How to Publish Public Domain Classic Bestselling Fiction - in 11 12 Easy Steps. 1. Pick your text version carefully. The fewer errors it has, the less time it will take to transmogrify it into your new, improved version. I suggest getting the .epub version, as it's already converted to html/xml, so is straight text. 2. Use Calibre to convert that epub to .rtf format. (If it has images, convert it to html. The .doc and .rtf coming out of Calibre won't have images.) Involving Calibre at this early stage sets you up for publishing ease later. 5. Compile your description and all other vital data into Calibre. Your cover and description are what really sells the book - or gets the potential buyer to view the preview. Leave the Calibre metadata page open, as this is where all the data you'll need for posting your books will be readily available. 6. Start up a project on Lulu and get your ISBN. Then plug that ISBN into Calibre to keep track of it, into Libre Office/Writer2Epub for exporting - and this also gives you the search string for Kobo ( http://www.kobobooks.com/search/search.html?q=[ISBN-goes-here].) Leave that tab open. 7. Export your LibreOffice version to Sigil and check/correct for any errors. 8. 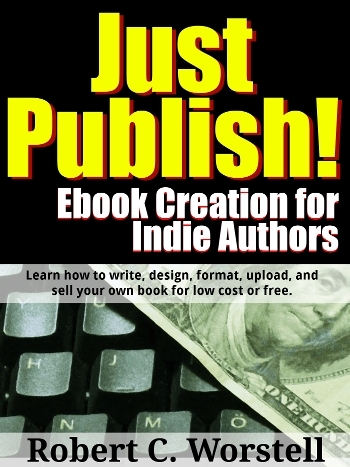 Publish it on Kobo completely. 9. Come back and finish up Lulu. They'll push it off to iBookstore/iTunes and B&N, but you won't hear back on those last two for about a month or so. 11. Use all the various links and text to do a web-page on your site to promote said book(s). 12. Then return to Lulu and publish the other versions (trade paperback, pocket paperback, hardback, PDF, etc.) Again, the point is to add real value, not just put out yet more cheap/overpriced versions of the same book. For these Writers' Club editions, I'm publishing Study Guides, which have wide margins and a spiral binding so they can be marked up and studied - even on those small bistro table tops in coffee shops. As you do this a few times, it gets much faster. After you've spent a few months on your latest masterpiece, you don't want to spend days getting it into shape to be published on top of everything else. So practice with some public domain works first and get the kinks out.